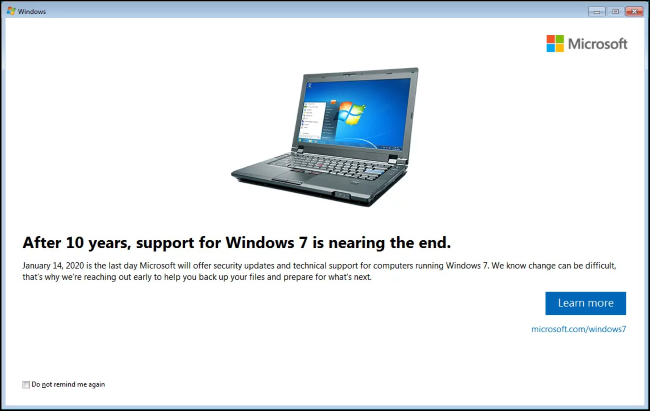 All the message does it inform you that Windows 7 will no longer be supported on January 14, 2020, and provide a link to Microsoft’s website with more information. More importantly, there’s a “Do Not Remind Me Again” checkbox at the bottom left corner of the window. Enable this checkbox and Microsoft will hopefully stop bugging you. However, if you don’t enable this checkbox and just close the window, you will see the end of life notification repeatedly.